Lori Ann Rebo, 56, died on Wednesday, March 28, 2018 at Cabinet Peaks Medical Center in Libby. She was born on May 19, 1961 at Moses Lake, WA to Richard and Willene (Rogers) Holcomb. 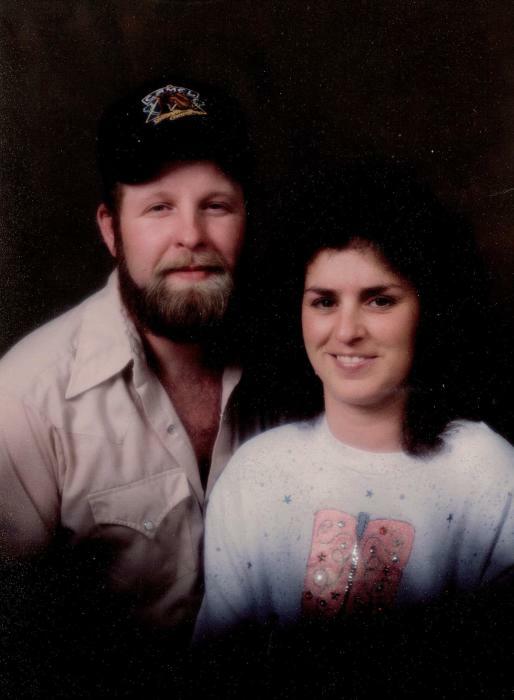 She married Daniel Rebo in Libby on March 9, 1980. Lori left school at 17, to become a house wife and mother. As her children got older, she went to work as a bartender; worked at the mill; and most important, she worked with Dan in the logging industry and set chokers and ran a boom truck. They enjoyed their work together. Lori was good at everything she did. Even her 4 year battle with cancer didn’t hold her down. After 41 years of marriage to Dan, she will be greatly missed. Lori was preceded in death by her parents and a sister, Pasty Garrison. Survivors include her husband Dan Rebo, Libby; children Jason Rebo, Libby; Shela Herring, ND; Jesse Rebo, Idaho; Justin Rebo, North Pole, AK; siblings Dennis Holcomb, Aloma Vose, Nancy Svensbye, Donna Degradeo; and grandchildren Gacoby Rebo, Christopher Raymond, Haillie Rebo, Faith and Katelyn.